Always consistent with all the advertised promises. The glasses did take a while to get to my front door, but if you can wait it is worth it. Thank you. Customer service is always great as well!!! These Prada glasses are authentic and fit perfectly. Vision is excellent, the lenses were made to the prescription as expected. My optrician didn't have any frames I liked, so I decided to shop around. I looked everywhere for something that I thought would look good on me and fortunately FramesDirect.com had the perfect frames. 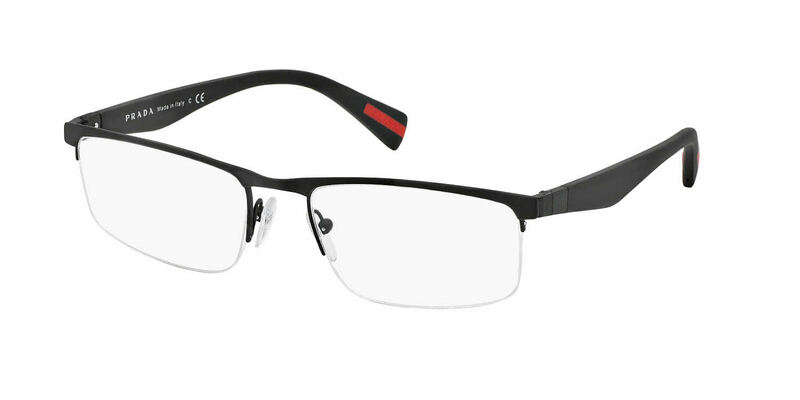 I've purchased the Prada Linea Rossa frames before, and since styles change so quickly I didn't expect to find them. I was so pleased the style was still available and the ordering process was simple and easy. My frames came quickly, there were no fit issues, and the lenses are perfect. I ordered these glasses from FramesDirect.com because lenses and frames are a lot more expensive in this part of the world. I had lost my previous Prada which I loved, and I wanted another Prada to replace my old ones. I received the new glasses on time and they are great. They are strong, lightweight and look cool too. Good first time experience of buying eyeglasses online. Definitely I will be coming back for next purchase.